Here are some basic news updates from the Israel Baseball League's first week. No, I still have not yet gone to a game. The Bet Shemesh Blue Sox are still leading the standings. The Blue Sox are undefeated with a record of 3-0. There has already been a game played under protest. League Commissioner Daniel Kurtzer (yes, the same guy who used to be US Ambassador to Israel) ruled to disallow the protest. The protest was based on the suspicion of use in a home run derby between Ranana and Modiin, which is basically the way the resolve a game when it is tied and goes into extra innings. Although the bat in question was clearly not allowed per League rules, and although the Modi’in Manager followed the proper procedure for protesting the situation during and immediately after the batter’s at-bat, there are insufficient grounds to overturn the umpire’s ruling on the field. The Commissioner also considered penalties against the batter for using an illegal bat. However, because the League did not adequately communicate its rules to Managers and players before the start of the season, the Commissioner decided to issue a warning to the player. Furthermore, the Commissioner has advised all Managers and players that any future breach of the IBL rules could, without further warning, result in suspensions, fines or other penalties. The first no-hitter of Israel Baseball has been thrown! Ra’anana's Esequier Pie threw a no-hitter against Modiin while striking out 7 batters. Ra'anana won the game 1-0 after winning the home run derby by 4-3..
A lot of bloggers have been writing about the recent story of the guy who sounded like a girl. So many, that I am only going to link to two of them, otherwise this post would be way too long. See yaak's take and Joe's take on the story. 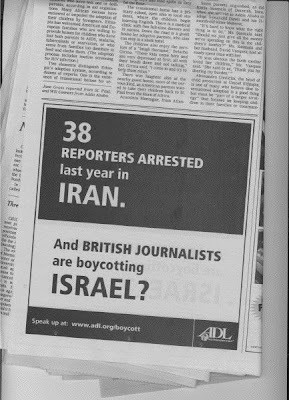 The story was in all the various Israeli papers, as well as on the bulleting boards of a number of sites. The story goes that this young man from Netanya, Eliyahu Faizikov, a 20 year old charedi yeshiva bachur, sings like a girl. His voice is very feminine. He put out an album and number of songs as singles. He distributed them to be played on the radio, religious Radio Kol Chai to be specific, and they were met with a certain amount of success. After some time, Faizikov noticed that the station was no longer playing his songs. He contacted the station to query why they stopped. Their response was that because his voice sounds so feminine, every time they would play his songs they would be bombarded with phone calls complaining that they are playing songs by women singers. So, the listeners think they are playing a woman singer, and they call the station outraged to complain. The station received so many of these complaints, they decided to stop playing his songs. I heard a couple of his songs. The Ynet article on the subject has 2 of his songs. Go listen to them. He sounds like a girl. Seriously. Poor kid. Some of the articles/posts/comments I read on the subject were witty. Some were topical. Yet many of them claim that the religious world is awash with chumrohs and this is just another baseless, ridiculous chumroh. He is a guy, so even if he sounds like a girl it is not a halachic problem. I would like to clarify the story as I see it. This is not a baseless chumroh. This is not the chareidi world banning an innocent victim. This is not a bunch of old-fashioned Rabbis coming down on a ridiculous irrelevant law. It is simply a business decision. No signs were posted on the walls of Mea Shearim declaring Faizikov and his music to be in cherem. no letters (that I know of) were presented to Rabbis Elyashiv and Kanievsky to be signed declaring him persona non grata. Listeners heard, what they thought, was a womans singing voice being broadcast over the radio and called to complain. They were skeptical as to the explanation, and just don't want to listen to women sing. Does it matter that it is really a guy? To Eliyahu Faizikov it does, but it does not to the listeners who think it is a girl! When the radio station receives a lot of complaints about something they are broadcasting, they have to make an evaluation. They have to decide whether the offending broadcast brings in more revenue than the loss of upsetting listeners (something akin to broadcasting the vile Howard Stern - he upsets many people, but many more enjoy listening to him). The radio station manager decided that more people were upset and would stop listening to the station/program than the gain they had by continuing to play the girlie music. That is it. It is not a chumroh, rather a simple business decision. If he has truble getting himself heard, he can go audition for Miami Boys Choir. They have tons of kids who sound like girls. That is their specialty. MizEllie from EllieTalk tagged me recently to do this meme where I have to write 8 things about myself. I am not very big on memes, and was leaning towards not doing this one, when my wife told me she would like me to do it. I guess she is curious what I would write. The rules of the game are posted at the beginning before those facts/habits are listed. At the end of the post, the player then tags 8 people and posts their names, then goes to their blogs and leaves them a comment, letting them know that they have been tagged and asking them to read your blog. I eat my pets. That is, as long as it is a kosher species of animal. That means my son's rabbit is safe. I have eaten pet ducks, chicken, and goose. I do not think the sheep count, though they were alive in my car for about an hour before I slaughtered them. They were not in my possession long enough to qualify as "pet". I am not very imaginative or creative, so I have a hard time thinking of good things for a list like this. I have this feeling that I have a book inside of me. No, not something I ate by mistake, and not like the magazine my son's rabbit ate once. Rather, a book that I need to write. I am just not yet sure what the topic of the book is. I guess, for now, my blog(s) is (are) my book. I can't stand the sight of blood. Yeah, this one does not make sense, considering my shechting habits. But it is true. Animal blood does not bother me, but human blood does. I cannot stand up close by a bris. 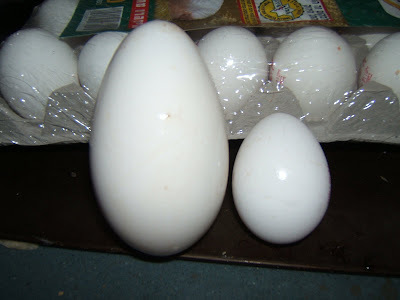 I decided one time, after I was well into the shechita stuff, that I would look at and watch a bris I was at, considering bris is considered a natural continuation of shechita, but as soon as it began, I had to turn away. I like, more or less, sticking to routine, and schedule. I dislike surprises, and I dislike things that make me change my routine. Especially when they crop up at the last minute. Sometimes it can't be avoided, but oftentimes it can. I deal with it, but I like to keep to routine and to schedule. I never pick up "call waiting". I hate it. I consider it rude. What makes the second call more important than the first? They can call back. if I am expecting an important call, I will not put one on hold and pick up the second, but will tell the first that I have to go. And if somebody puts me on hold to pick up a "call waiting", I will usually hang up. I pretty much do my own thing. If I feel something is right and appropriate (and I want to do it), I do it, even if it goes against social norms. I should add, to my wife's chagrin.. :-). And if I feel something is wrong, I won't do it, even if everybody else does. I am not big on following all the rules, in any given situation. "Most of the rules" is usually enough for me. That is why I am not going to tag any other bloggers (rule 3, see above)!! That is, as long as it is not a competitive sport or anything like that, where I would get an unfair advantage. I will not cheat, let alone at someone else's expense. But as long as it is just me and I am trying to do something, I will often "wing it" to a certain extent. Hamas is now a "resistance movement"? I know it is all a matter of semantics, but that really is everything in politics. Politicians have to be cautious how they word their statements. If they choose one word over another, it could be the cause for an embargo, a war, warming of relations between countries, etc. A politician has to be very careful with his (or her) wording. US Secretary of State Condoleeza Rice, in a recent interview with the New York Daily News, referred to Hamas, twice, as a "resistance movement". The full text of the interview can be read on the State Department website. That is unusual, because the official US government's policy has been that Hamas is a terror organization, not a resistance movement. Was it a simple slip on Condy's part, or is it indicative of the Bush administrations attitude to the Middle East situation? Here is a video clip of a church in Portugal - I have no idea what they are saying,at least until the 45 second marker. You will be stunned. I will be hosting this week's edition of Haveil Havalim. Please send in your submissions and try not to wait until the last minute! On November 10, 1975, the United Nations passed the resolution that Zionism is a form of racism. Chaim Herzog, Israel's Ambassador to the UN at the time, had some serious cojones. He got up to the podium and gave a speech that blasted the resolution. As he concluded the speech, he picked up the resolution and tore it in half. I was only 3 years old at the time. However, that whole debate on "Zionism is Racism" became such an integral part of Jewish life and American Jewry's relation to Israel, that during later years one could not avoid hearing the debate and references to the great speech of Chaim Herzog. Now some British historians are publishing a new edition of the book "Speeches that Changed the World". They have debated which speeches should be included in the book and Herzog's speech is one of them. Do you remember hearing the old refrain, "It's hot enough to fry an egg!"? 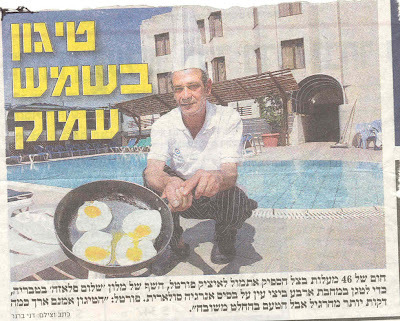 Well, in Israel right now it is hot enough to fry an egg! 1. A few hours ago I heard PM Ehud Olmert's speech from the Sharm Summit. In it, he was very forthcoming to the Palestinians. He compared their suffering to the suffering of the Israelis. He then announced that in an effort to shore up support for Abbas, as a form of goodwill, as a gesture to show the Palestinians that we are really concerned about their suffering, Israel would soon release 250 prisoners in Israeli jails, provided they do not "have blood on their hands" and they promise not to engage in terror activities any more in the future. This is very hasty of Olmert. It is a reward for terror. Fatah has shown no signs of coming through on any promises ever made, and they hardly ever make promises anyway. I am not sure what Olmert thinks he will gain from this, unless he is looking to get support from Israel's "left wing" so he can survive politically, for just a little bit longer. Another option I thought of is that this is part of a secret deal with the Palestinians. It could be that they agreed Hamas would release information about Shalit's condition and Olmert would release 250 prisoners. The only thing is neither side can admit to such a deal. That is why Hamas would blindside Israel with a surprise audio recording, and on the same day Olmert would announce his intentions to release 250 prisoners. Not sure it is true, but is an idea I had. There are things that do not make sense with the theory, like Olmert said he will release Fatah prisoners, so why would Hamas agree to that? But maybe Hamas does not really care about those differences, because either way they still come out looking good (to their people)..
Maybe. Who knows? We probably never will..
2. Yesterday, Omri Sharon's sentence was lessened from 9 months in prison to 7 months in prison. To remind you, he was convicted of fraud, election fraud and other nefarious activities related to manipulating the political system. Omri and his attorney are not happy with today's decision to lessen his sentence. They think the jail time aspect of it should have been totally cancelled. They are considering a further appeal to the higher courts. I find it funny that the judges take into consideration the fact that his political career is over and he was forced to resign as a result of the conviction. That was a major factor in the lessening of his sentence. If a common criminal is convicted of something, and loses his job because of it, should he not still have to sit out his prison sentence? Why should the fact that he lost his job be a reason to lessen his sentence? 3. Olmert, earlier in the day, when discussing the upcoming Sharm Summit, referred to the Hamas takeover of the Gaza Strip. he said, "It is difficult to watch what Hamas has done to its own people, but it was expected. We saw it coming." So, if you saw it coming, why did we give them weapons, money, training, electricity and water? Why do we still offer them goodwill gestures, like releasing 250 prisoners? Releasing hundreds of millions of dollars in tax monies? Does he not see it coming again? Does he think that because Abbas escaped Gaza and retained control of the West Bank, that Hamas can't eventually take over there as well? Does he not realize that everything he gives to the "moderate" Abbas, will soon fall into Hamas control? 4. Elchonon Tannenbaum - yes, him. The guy who went to Lebanon, supposedly to deal in drugs, was kidnapped, and eventually released back to Israel in a prisoner exchange. Today Elchonon Tannenbaum was stripped of his army ranking of Officer and was demoted to private. There are no ramifications of this, as supposedly he is not receiving any pensions from the army, but he is going to appeal the decision anyway. he is slighted and says he would give up everything else, and even be willing to stand trial and be punished for any crimes he committed (dealing drugs, etc..) but he insists on retaining his ranking. This strengthens, in my mind, the original suspicions that the fact that he was a drug dealer was just a cover story. The suspicion was that he was a government rep at some level, possibly a Mossad agent. The whole story never made much sense, and this just adds to it. 5. Back to Omri Sharon: Jameel pointed out to me today another aspect of the court decision.. There was a minority opinion by Justice Caspi that Omri Sharon has suffered enough and should not sit in prison at all for his crimes. Caspi was of the opinion that public service should be enough of a punishment. 2 years ago, during and after the disengagement, Justice Caspi was very strict with anti-disengagement protesters. Caspi sentenced two teenagers who blocked a road during an anti-disengagement protest to two years in rpison, and refused any requests for leniency. Is Caspi working for the Sharons? Is Caspi part of the Sharon network of officials who were forced to play along or lose their career? Was Omri Sharon's crimes less serious than that of those two teenagers? There are two big events happening in Beit Shemesh right now. There is a huge fire from Kibbutz Tzora, right next door to BS. As I passed it on the train a little while back, we could see the furniture factory burning down along with part of a field. The plumes of smoke are humongous, blackening the sky over the whole Bet Shemesh. The second event is the police have just begun driving around the neighborhood using their bullhorns to announce that everybody should get into their houses and close their doors and windows. The last time they did that, a few years ago, it was because they were looking for a terrorist that was supposedly hiding in the area of Bet Shemesh. This time, I have not yet heard why. It might be because of that, or maybe they are concerned about the breathing intake of smoke. Or maybe they suspect some chemicals leaked during the fire. Who knows? But if it is anything exciting, I will update you..
UPDATE - the local Hatzolah hotline is saying they are concerned the smoke might be toxic.. The video is just over an hour long, but much of the beginning is them setting up and getting ready and saying some Psalms. When it gets down to the mid 40's (minute marker), that is where the actual chalitza begins, though it is fairly slow. The process looks very emotional. She has a hard time getting enough saliva to spit out, so they do that a few times..
Maccabi Tel Aviv, Israel's top basketball team, recently signed (former Chicago Bull) Marcus Fizer to a contract. Fizer spent last year playing in Spain, and will in the coming years, if he can stay out of trouble, play in Israel. Fizer, in a "dis" to Tel Aviv, while claiming his colorful past is behind him, said, "in Israel I will do everything I can to live outside the Tel Aviv area, because quiet and peacefulness are very important to me." 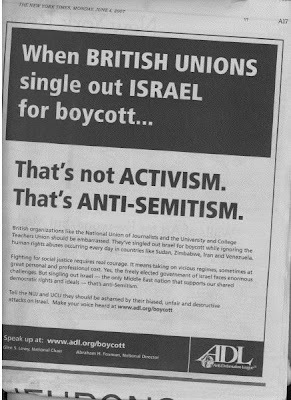 Take that Tel Aviv! You are too busy for the likes of Marcus Fizer! You really must be "the city that doesn't sleep!" This was just announced in my neighborhood in various shuls. Somebody has started a cholent G'mach. That means, if you chose not to make a cholent for shabbos lunch because the weather was too hot, but then you decided that you really want one, you can run over to this guy's house and pick up some cholent! If your cholent burnt, go to the cholent gmach and get some non-burnt cholent! Did your cholent undercook? Nothing to worry about - just head on over to the cholent gmach and pick up some cholent! Opening Day of the Israel Baseball League has now passed, with what was an exciting game (by all reports - I could not be there). Tomorrow is the one year anniversary of the abduction of Gilad Shalit. On June 25, 2006, Palestinian militants breeched the Israeli border and attacked a military outpost. They abducted Gilad Shalit and, in the process, killed two other IDF soldiers and injured three more. Since the abduction, we have read in the news about offers for a trade. The terms of the deal as suggested by the ruling Hamas leaders has been ridiculous. They have demanded thousands of prisoners in exchange for Shalit, and they will not even give any information as to Shalit's condition prior to any deal. We have occasionally been told, via the media, that a deal is imminent and we can expect good news "within 2 weeks." I can remember about 4 different times over the year that our government has counted on the promises of PA President Mahmoud Abbas to declare that the Shalit situation will be over in a matter of days. The days pass, the weeks pass, the months pass, and all we are left with is more promises by Abbas and Gilad Shalit remains in captivity. With the recent Hamas coup of Gaza, Mahmoud Abbas will obviously not even be able to make promises that he cannot keep. He will not be able to give us the hope and optimism we desire. We like to fool ourselves. We think that as long as the moderates are in control, we are ok. Everything will work out. Abbas will work it out and get us Shalit back under reasonable terms. As long as we have someone there making promises to us, even though those promises will never be kept, we remain calm. We remain optimistic that Abbas will come through. Abbas will never come through. I say that loud and clear. He has never come through. He is not a moderate. He has done nothing for us and, even worse, he has done nothing to advance the goals of the Palestinian people. He has gotten a lot of goodwill gestures from Israel, but in the 2.5 years he has been President of the PA, he has not advanced their situation at all. We have our hopes and desires. As long as Abbas was willing to make us promises, empty as they might be, we were willing to have expectations. The problem with that is that as the time passes, our expectations result in constant disappointment. Maybe now that Hamas is in complete control of Gaza and Abbas does not even have the ability to make promises, we will stop taking hope from him. Hopefully we will begin to look for real solutions to obtaining Shalit's freedom (and Goldwasser and Regev in Lebanon, but that will be for another post) and stop relying on false hope and people who do not have the ability to come through. And we, the people who cannot do anything except pressure the government, and even that does not help with the crowd of selfish politicians currently filling the seats of power who ignore the calls of the public, should keep reminding the government of its responsibilities, and keep pressuring the government in any way possible to bring this situation to its resolution. But the fall of Abbas should also be a reminder that "we have nobody to rely on except our Father in heaven." As long as Abbas was making promises, we could forget about Hashem and rely on Abbas and Olmert. Now that they can no longer make any promises, the time is ripe to remember that really we should be relying on Hashem to bring this to a resolution. There is nobody here reliable to rely on. We must increase our prayers and our good deeds in Shalit's merit. Kenny even went "coast to coast" on one play, which is not easy for a big guy.. If you going to be in Los Angeles between August 5 and August 7, now is your chance. According to Arutz 7 news, the Orthodox Union (a.k.a the OU) is going to be holding a special conference in Los Angeles August 5-7. It will be on the topic of “The Mesorah [tradition] of Kosher Birds and Animals," including other aspects of kashrus in the food industry. The two men behind the Mesorah Conference phenomenon are American olim (immigrants to Israel) Rabbi Dr. Ari Zivotofsky and Dr. Ari Greenspan. The men have devoted years to investigating exotic or rare species that are kosher, but no longer consumed, or consumed only by small communities. They do this to maintain the tradition of which species are permitted be eaten and which are not. The men have examined the kosher status of the giraffe, swan, peacock, grasshopper, buffalo and other exotic creatures - as well as the manner in which each are slughtered and prepared for consumption. The conference will take place at the OU’s West Coast Headquarters, 9831 West Pico Blvd, from 9:30 AM - 3 PM. The session will be followed by “an extraordinary Torah and gastronomic event,” promises the OU’s Director of Kashrut Education, Rabbi Yosef Grossman. It will feature quail, red deer, fleishig (meat) eggs, bison, udder, shibuta and tambaqui (fish that according to the Talmud taste like pork). “The reception of the two Mesorah Conferences in New York was phenomenal, and so we made the decision to bring the program to Los Angeles,” Rabbi Grossman explained. I did not see any information on the OU website, nor on the OU West Coast site, but if it interests you, be in touch with the OU about reserving a spot. Yes, you read the title correctly. But it was a mock wedding. I am in the mood for some Nach Nachs! Enjoy! 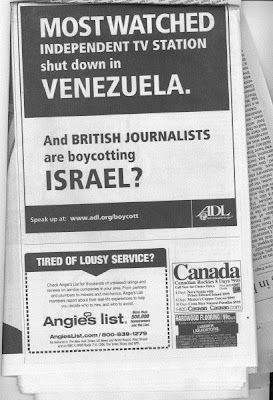 In this evening's edition of the Yisraeli newspaper, there was a small piece on on an old topic. The spokesterrorist of Hamas announced that in their raids of Gaza and the PA government offices, they have uncovered documentation and evidence that Mohammed Dahlan, the PA Chief of Security (and member of Fatah) was responsible for the death/murder of Yasser Arafat. It did not say how Dahlan had Arafat killed. When Arafat died, there were varying rumors as to what was the cause of death. The PA never released any real information. The PA accused Israel of being responsible for his death. There were rumors Arafat died of anything from AIDS to cancer and many other options as well.. It looks like, if Hamas can be trusted at all, the PA killed its founder. A senior member of Fatah killed the founder of Fatah. For those of you who do not know, "Halitzah" is a mitzva in the Torah. In brief, when a married man dies, leaving a wife but no children, that man's brother (if he has at least one), is commanded by the Torah to perform a marital ceremony called "Yibum" with his brother's widow. The idea of this is to establish the dead brother's name in Israel by producing children. If, for whatever reason, the brother cannot or chooses not to do so, of if the widow refuses to marry him, the Torah changes the mitzva to one of Halitza. That is a separation ceremony in which certain verses are read from the Torah, the woman spits into a shoe, and they are offically separated and each can go on living their lives as they wish. Nowadays, we do not perform the mitzva of Yibum. Whenever such a situation arises, we perform halitza instead of yibum. I understand the reason to be that the Rabbis decided (even in the time of the Talmud this decision was beginning - it is not a decree of today's Rabbis) that our thoughts are less than pure. It was suspected that when the brother was performing Yibum, he might have thoughts of desire for his sister-in-law, ratehr than thoughts of establishing his dead brothers name. Because of this, they decided that we would no longer perform Yibum, but only halitza. It seems that halitza is not a very common occurence. Whenever I have heard of one taking place it is always "after the fact" and having been done with a sense of urgency and even excitement. Usually one hears that "The Rabbi called me about a halitza going to take place and invited me to come watch." An emotional halitza took place this week in Jerusalem. One year ago a woman lost her husband in the Second Lebanon War. They had no children. She was obligated to have the halita ceremony performed in order for her to begin to move on and look for a new husband. Her family members had tried to press her to partake in the halitza ceremony so she could move on. She refused, saying that her husband is still with her. To her he was still alive. Eventually the family turned to the Chief Rabbi of Israel, Rabbi Amar, to help with the situation. The Rabbi tried to convince her to do the halitza. He explained that as long as she continued to refuse, her husband's soul could not rest peacefully. Aside from doing it for herself, she was urged to do it for her dead husband's sake. He promised her that he would personally deal with the halitza. At the ceremony would also be a memorial service for her dead husband, and eventually she agreed. After all the preparations were made, the ceremony was performed in the offices of the Chief Rabbi of Israel, one year to the day of the death of her husband, who died in the Second Lebanon War. May his memory be blessed, and may she have the strength and conviction to move on and begin her life anew. And if anybody knows how I could arrange to witness such a ceremony, please drop me a line. There are very strong rumors about an incident that took place yesterday. I do not know too many details, but I did just hear about something that is being kept out of the general media. 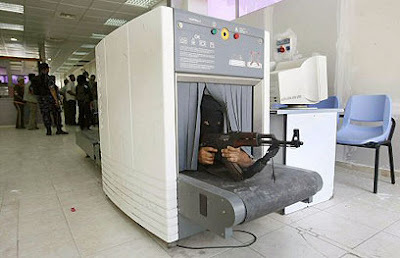 It is not being kept out for security reasons. It is being kept out because the police are extremely embarrassed about the incident. As you all know already, there is a Gay pride Parade scheduled for this week in Jerusalem. The parade has been protested against by the Eida Haredit, with more on the way. The police have pretty much taken over Mea Shearim/Geula in an attempt to thwart any protests and keep them small. So the rumor has it that the police have a lot of undercover agents in the area. Yesterday, it seems, one of those agents was spotted and caught. His captors beat him, supposedly breaking his leg, and tied him up. When they finished taking care of him, they dumped him into a large dumpster and sealed it shut with him trapped inside for three hours. After that they let him out and released him. This information went up on an Israeli news forum yesterday and was almost immediately removed and the site crashed temporarily. I heard it second hand, but the source is very good. I do not know any more details than what I included above. A friend of mine told me the following story last night. My friend is a very enthusiastic "hitchhiker picker upper" (while I am not). He pretty much picks up "trempers" (as we call them in Israel) whenever he can. He was driving through RBS B (the chassidishe neighborhood of Bet Shemesh) yesterday and he picked up a chassidic hitchhiker. The are driving on and my friend, the driver, hears the guy in the back seat munching on some chips. He turns and sees the guy had picked up some chips that his kid had left in the car, and was eating them. He said to the guy, "Enjoy the chips, but next time you should really at least make the bracha out loud so I could hear and be zoche to say "amen to it." The guy agreed and proceeded to make the bracha out loud. Side note: The guy must have been in a pretty dire financial situation to have the gall to see some stale chips laying on the seat in someones car and pick them up and eat them. And in today's interesting Jewish news tidbit, an Orthodox Jewish inmate in a state prison in New Hampshire for sexually molesting a 13 year old girl has had his rights restored, for the third time. Inmate Albert Kuperman was receiving three meals daily of kosher food, as per his request based on his religious belief. The prison officials revoked his right to kosher food after he was caught with non-kosher food. It has happened before and each time he got his kosher food reinstated. he was recently caught again with non-kosher food and had his kosher food revoked. His lawyer appealed it saying he bought the non-kosher food for fellow inmates, and even if he did violate the kosher laws, he still has a right to kosher food. If a diabetic was caught buying a chocolate bar, would we take him off his diabetic diet? The court reinstated his right, for the third time, to receive kosher food. We all heard about the group of Rabbis who ascended Har Habayit a month ago in honor of the 40th anniversary of the reunion of Jerusalem. It turns out the event was recorded, but the police had insisted on an agreement that the video would not be released for one month. They were concerned about Arab sensitivities around the event. A month has passed and the video has been released via Arutz7 (INN). Someone uploaded it to Youtube, and I offer it to you here. It is a powerful video. You must watch it. Recently an interesting episode occurred with Reb Chaim Kanievsky that demonstrated that despite the amazing advances made by modern technology, nothing can be substituted for diligence in Torah study. A Torah scholar in Bnei Barak was discussing Torah topics with Reb Chaim and he queried Reb Chaim regarding the amount of instances that the name Moshe is listed in the Torah. Reb Chaim immediately responded that the name Moshe is listed 414 times in the Torah, to which the questioner responded that he believes that the name Moshe appears 416 times. Reb Chaim smiled and responded that apparently this person had done a computer search which resulted in the extra listings of the word Moshe, as in one instance the word is miseh, from the sheep, and in the second instance, the word is masheh, which means to lend, but certainly these words do not refer to Moshe. Looking for a professional translator and editor for your writings? This is a Letter to the Editor printed yesterday in the Hamodia newspaper. I recently returned for a lovely ladies' vacation at Kinar to the headlines that Olmert is ready to give up the Golan Heights to Syria in a peace deal. There are a few points I would like to make. First of all, Kinar itself is actually on the east bank of the Kinneret, i.e. it's on the lower part of the Golan Heights. Olmert's peace deal would mean saying good-bye to Kinar. Second, the bottom part of the Golan, where everyone likes to climb and where tiyulim converge, is also where all the nachalim are, creating an ideal natural climate for growing the most mehudar Chazon Ish esrogim, which are unlike chasalot produce that grew in Gush Katif and anywhere else in artificial climate-controlled green-houses. Olmert's peace deal would consign a large supply of mehudar esrogim to the curse of yesamhu alehah oiveichem. These are the best reasons I have ever heard for not giving up the Golan in a peace deal. My vacation to the Kinar hotel will be ruined. I will have to find a different resort to vacation at. And the esrog growers will have to find a different place to grow their esrogs! How dare Olmert even consider giving back the Golan heights! Does he not realize these disastrous ramifications such a deal would have! A couple of weeks ago in the Mishpacha magazine, there was an article about the Israeli operation to bomb OSIRAK - the Iraqi nuclear reactor, and some of the religious aspects of it. In this weeks Mishpacha there was a "Letter to the Editor" in which the author relates a fascinating story related to the above article. I felt I had to share the story with you. In that year, 1981, on Lag B'Omer, as the Holy Rebbe Rav Moshe Mordechai of Lelov was leaving the grave site of the RASHB"I (Rav Shimon Bar Yohai), he turned to a group of his chassidim and said, "I have accepted upon myself something that is beyond my capabilities, but I had no choice." The chassidim, obviously, had no idea what he was talking about. The rebbe continued, "If one fights with the power of evil, one is capable of overcoming it, but one must take into account that there will be casualties." A few days later, at midnight, the Rebbe (who lived in the Geula neighborhood of Jerusalem), took a taxi to the Hadassah Ein Kerem hospital. He went up to the Neurological ward and went from room to room checking everything out. Without saying anything and no explanation, he completed examining the ward. When he finished, he got a taxi and went back to his home in Geula. A couple of weeks later, on the eve of the Shavuos holiday (this was June 7, 1981 - the day of the attack), the Rebbe told his gabbai to call Prime Minister Menachem Begin and to bless him with good fortune and success for the operation. The gabbai did as instructed. When Begin received the message, his face fell in distress. He was concerned that the greatest State secret had somehow been leaked. As the holiday of Shavuos began, the chassidim in the shul of the Rebbe noticed that something unusual was happening. The Rebbe asked a number of times if anybody had heard any news. The Rebbe turned often to the Aron Kodesh. He opened and closed it a number of times. His prayers were more intense than usual. At the end of the holiday, the Rebbe was informed of the success of the operation to blow up the nuclear reactor. Immediately after he heard the news, he became completely paralyzed. He was immediately taken to the hospital - Hadassah Ein Kerem. He was placed in care in the Neurological ward and remained there, in complete paralysis, for 6 years, until his death. Only then did his chassidim understand his cryptic messages from Lag B'Omer, and his behavior over the holiday. One cannot imagine how much affliction the holy tzadikkim take upon themselves in order to save and protect other Jews. This is really cool. 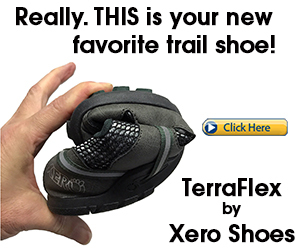 I think I want one! Here is something I don't get... Israel is providing an Arab "country" with gas? 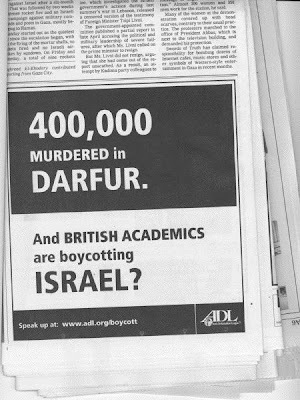 Of all the countries in the Middle East to do provide such a commodity, is Israel really the best suited for this, even in the best of times? Would not countries like Iraq (big friends of the Palestinians supposedly), Saudi Arabia and Iran (among others) be better suited for providing their Arab friends and poor, needy Palestinians with gas that is a natural supply in their countries? Lev Leviev, the religious businessman who controls the holding company Africa-Israel, and who is the wealthiest Israeli, said in an interview to Maariv newspaper, "A Jew who makes money and merited blessings, needs to do good deeds with the money he earned. I do not understand businessmen who make a lot of profit and continue to work hard, but do not contribute." In a sense, I kind of hope that Hamas will win the bloody civil war taking place in Gaza right now. I hope that they will fight for a long time with each other and kill each other. But when it is all over and done with, I hope Hamas comes out in control. Sounds pretty stupid of me, right? Why would I want the radical terrorists of Hamas to take control of the PA and Gaza rather than the moderate Fatah faction? Fatah has been in control of the Palestinian Authority since the day it was founded. Yasser Arafat was part of the "moderate" Fatah faction of Palestinians. In my mind, both Fatah and Hamas are bad people. They are both made up of terrorists with no interest in living peacefully with Israel (this does not include all the civilians living in the PA - there might be some of them who do really want to live peacefully with us as neighbors, but the political factions do not). The only difference between them is PR - Fatah has been good at PR. The world believes that Fatah is really a bunch of moderates who are capable of making a lasting peace. At the same time, much of the Western world (parts of Europe not included), think of Hamas as a bunch of unruly terrorists hell-bent on destroying Israel. In essence, fatah believes the same thing, but has better PR and has devised more manipulative ways of getting rid of Israel. As Jameel put it, Zeh Neveila, Vzeh treifa. So, why do I want Hamas to take control? As long as Fatah has been in charge, the world feels comfortable pressuring Israel to offer concessions. It never mattered if Israel got anything in return. It never mattered if the PA had kept nay of their promises or any of their agreements. Israel always had to make offers. And even when things were not going well in negotiations, Israel would be pressured to make goodwill gestures, sometimes in the form of land, sometimes in the form of releasing terrorists from jail, sometimes releasing money, sometimes easing up travel restrictions through Israel, etc. All this was in order to prop up Fatah and make them look better in the eyes of their people. The world pressured Israel to play to Fatah because the world considered Fatah moderates. the world considered Fatah to be a bunch of people we could make peace with. Everything had to be done to preserve that. If Hamas wins, that ridiculous pressure placed on Israel might be lessened. Nobody in the Western world likes Hamas. Everybody accepts that they are a bunch of thugs and terrorists (though some in Europe still choose to ignore that). Nobody will pressure Israel to make goodwill gestures to Hamas. At least for a while. Eventually they will. But for a while, the PA will look really bad to the world. So I offer my cheer, "GO HAMAS!!!" it's over. this is goodbye. This is it. It is time to say "goodbye". Everything good must eventually come to an end. We were together in good times and bad. You were an outlet for me. Other people enjoyed your presence, and maybe some did not. We raised you from a little nothing until you were fully grown. And you were delicious too. My mother called me a "barbarian". My father threatened to sick PETA on me. It was the only way I could get my army brother to come to me for a shabbos weekend (now I have to look for a new plan to get him to come again!). 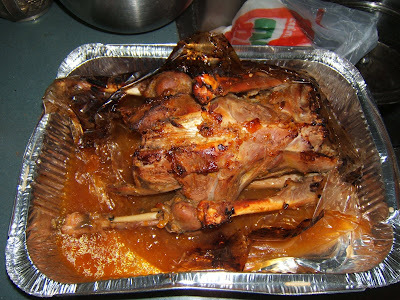 We devoured you as would a caveman (mostly my brother, but I enjoyed some of you too), picking at the bones. 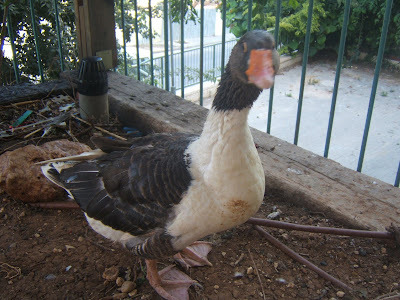 Goose. RIP. 29 sivan 5767. This is a video from NRG TV of "capital punishment" in Gaza yesterday. Shas is announcing that Rav Ovadia Yosef and the Council of Torah Sages (of Shas) are declaring a rally of Selichos in light of the disastrous situation in which the nation of Israel finds itself. 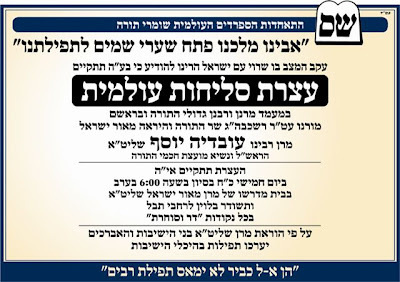 Selichos will take place today at 6:00 pm in Rav Ovadia's shul and be broadcast by satellite to various locations. On the other hand, maybe the issue is the general political and security situation which is pretty bad, especially with what has been going on in Gaza the past few days. If that is the case, is it not ironic that Shas is largely responsible (not completely, but largely) for crowning as king the man, Shimon Peres, who is vastly responsible for the horrible situation in which we find ourselves? Peres is the architect of the Oslo accords, which led to everything that is happening now. Yet Shas felt he was worthy of being the President of Israel, despite his being a rabid left-winger. Ahhh, the irony of pushing Peres as President and then declaring a day of selichos to daven for the situation.... gotta love it! Keep your eyes peeled for details. 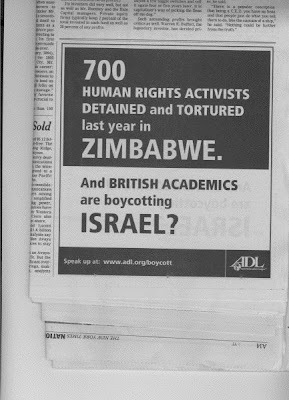 This is a series of ads that ran in the NY Times against the British Academics boycott of Israel. Today Shimon Peres was elected President of Israel. That is a fairly prestigious position, despite the damage done by the previous president, albeit largely ceremonial. The exact job description of the President of Israel is difficult to pin down. He will host the championship soccer team in his office and congratulate them, along with congratulating the winner of the hot dog eating contest. In addition, he will go out to pay condolence calls to the families of victims of terror. He will reach out to the various communities in Israel and try to foster unity, while at the same time reach out to the world and attempt to raise the standing of the Jews and Israel among the international community (in a non-political way). He will spearhead the fight against anti-semitism, while raising the level of Zionism and patriotism. It is ironic that Shimon Peres has been entrusted by his friends in the Knesset to be responsible for all this. An alert reader (YR) sent me this article. It turns out that this very week - at the same time that Shimon Peres is being elected to the position of President of Israel - the Peres Center for Peace - yes, run by none other than Shimon Peres, is involved in extremely anti-zionist activities. The Peres Center for Peace has organized a conference of European NGO's where they will spend three days bashing Israel. The keynote speech at this week's NGO event is being given by Avram Burg, described by the conference program as an “Israeli political personality,” despite Burg’s revealing interview with Haaretz (June 1) in which he calls for Israel to cease being a Jewish entity. Each of the Israeli organizations invited – Betselem. Combatants for Peace, Israeli Coalition Against Home Demolitions, Machsom Watch, Parents' Circle, Rabbis for Human Rights and Yesh Din – carries a uniquely venomous message which describes Israel’s very presence in Judea and Samaria as a criminal violation of international law. One of those groups, the Israel Committee for Home Demolitions (ICHAD), goes so far as to compare Israeli law with Nazi law. In a presentation in March 2000 on a Boston affiliate of National Public Radio, ICHAD head Jeff Halper alleged that Israel's zoning and building regulations are not ordinary laws, and that Israel's legal system resembles the Nazi Nuremberg Laws. Halper has never retracted that comparison. Arab speakers at the conference include Fatah leaders Yassir Abed Rabo and Jibril Rajub, who are unlikely to mention that Fatah continues to conduct terror operations against Israelis. No one at the conference will remind participants that Fatah's Al Aksa Brigades is defined by the US, the EU and Israel as a terrorist organization that has not renounced its ways. The newscasters were talking very often about how it would be a big shock if Peres lost again....and they were asking MKs how they voted. The most interesting I found was what they asked Shaul Mofaz. They asked him who he voted for and he answered for Peres. Then they asked him how it is possible that a year ago there was no way he would have voted for Peres who was part of Labor and he was part of Likud, yet now he voted Peres? He waffled a bit and then said that what was a year ago was a year ago and things have changed. It is a shocker how poor of a showing Ruby actually came out with. Ruby Rivlin withdrew his candidacy. Shimon Peres is now officially the 9th President of Israel. Earlier today, Terje Larson, the EU envoy to the Middle East, expressed his concern over recent events in the region. He expressed his concern that four situations in the Middle East are going to lead to a general war. The four situations he mentioned are; Iraq, Iran, Lebanon, and the infighting in Gaza. Terje Larson is worried about war and did not blame Israel! He did not even include Israel in a list of problems! Someone sent me this video clip and I thought it was pretty funny. It is in Hebrew, so I apologize if you do not understand it. It is pretty simple Hebrew, so you should be ok.
Basically someone went around asking people what they know Ehud Olmert has contributed to Israel in all of his 40 year career in Israeli politics. Watch and enjoy! This morning at 6:23 am on my way to shul, I had the radio on to Kol Israel - the state run radio station. They were just concluding one of the morning news programs. As they finish the discussion about if Shimon Peres would win the presidency who would replace him in the government, they were about to break for commercials. The host of the program then announced a request. This is one I do not remember hearing on the radio ever before. The host of the program announced, "We ask everyone to daven for the child Bilhaa bat Rivka to be healed from her illness." (they did not say what was wrong with her). I do not know who this girl is. Maybe she is the daughter of the station master. Maybe she is the daughter of a supporter of the station. Maybe she is just a random child who is very sick and her parents sent a letter to the station asking them to make such an announcement. I do not know. But it shows me how Jewish of a country Israel is, even with all the politics and fighting and religion wars and whatnot. When it comes down to it, Israel is a Jewish state. The state-run radio station asks people to daven for a sick child. There will be a Israel Real Estate fair in New Jersey and then New York next week, specifically June 17-19. After reading all those great reasons for living in Israel, both on my blog and on the various other blogs, you should be chomping at the bit to move here. If you live on the East Coast of the US, this is a great chance to get a head start on meeting people, meeting builders, finding a home and whatnot. Take advantage, head on over to any of the three locations hosting the fair and actualize the Jewish dream to settle the Land of Israel. If you live anywhere else in the United States and do not want to fly to NY for this fair, there will be other fairs coming your way... Keep your eyes peeled for info.. They do not slam them for crossing the border into Israel and trying to assault Israelis. No criticism simply for being "gunmen". Just for using TV jeeps. The rest of it is good for business. The latter is bad for business. It is looking more and more like Shimon Peres actually has a decent chance to win his first election ever in the presidential campaign this week. Whether he does or does not actually win remains to be seen, but his chances look good. On an optimistic note, a good aspect of Shimon peres winning the presidency will be the fact that he will not be able to become Prime Minister when Kadima is forced to remove Olmert in order to avoid new elections. Peres will be stuck as President and we will not have to suffer with him as PM. Haveil Havalim #120 is up at Soccer Dad. He included a lot of the posts from various bloggers about the 12 reasons for living in Israel. I helped him rounding up those posts. I included as many as I could find. If I missed your post, or a post you know about, feel free to send it to me (by email or in the comments) or to Soccer Dad and he will try to include it.. 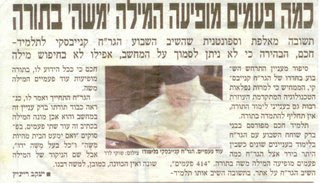 There is a great parsha paper that gets distributed in shuls in Israel. It is called Torah Tidbits. It is full of all sorts of interesting articles and features. One of these articles is a weekly piece by Catriel Sugarman on some aspect of the Temple service or the physical construction of the Temple. The piece he writes is generally fascinating and very informative of events and processes we (many of us) have little understanding of. In this week's article, Sugarman did something a little different. He gave us some of his background as to having grown up Conservative. He described the Conservative belief that there will not be a future Temple, rather the study of the subject is solely for the past, and not for any future relevance. I was not aware of that belief among the Conservative, so that was an eye opener. He discusses how the Conservative edited the text of various prayers to indicate that belief that there will not be a future temple. He then presented a question he received by email and asked what the readers think about it. Excuse me for saying it but I think the Orthodox movement is, for the most part, intellectually dishonest with itself and others on a central question of belief. This is the area of your expertise, the Temple, animal sacrifices and their reinstatement. The truth? How many Orthodox Jews in the 21st century really want these things? Let's be for real. You pray three times a day for G-d to restore them to the Jewish people, but do you really want them? Do you really want to slaughter sheep and bullocks and goats by the tens of thousands, toss their blood on the altar, and burn their bodies? Do you really want to tie a red string around the neck of a goat and push it over a cliff so the sins of Israel will be forgiven? I read all your articles with great interest. This week's article was especially intriguing because of it touching on whether we really want the mikdash we daven for, and the future we daven for, or whether we are simply paying lip service but do not really want such change. I have discussed the topic a number of times with people. I have found that in Israel there are more people who really want the mikdash and the mashiach and all the changes that will ensue because of them than there are in the Diaspora. Yet, even in Israel it is still a minority of the people. I have asked why more people do not put on the tcheilet (for example). The halachic risk is negligible, and the halachic gain is great (if it is correct than one is fulfilling the mitzva d'oraisa properly). The response I was given is that the frum community generally pushes away anything that has a taste of being messianic. For some reason, whenever something is deemed as having a messianic flavor, people push it away and reject it. The Rav who told me that also suggested the reason to be because of our long history with false Messiahs. He suggested that any time something quasi-messianic comes along, we automatically reject it because of our bad history with false messiahs. That being said, I think most people (again, most people is most in the Diaspora and most in Israel as well, but the percentages in Israel will be lower) do not really want that changes that will happen. I suspect a lot of it has to do with fear of the unknown. People worry they will have to give up the luxuries they are used to and their lifestyles. We do not really know what the future will be like when mashiach comes, at best we make suggestions and guesses, so we have a bit of fear of the unknown. I recently heard a story about a class in a frum school. The teacher asked the students to raise their hand if they want mashiach to come. Everybody raised their hands. The teacher said to keep their hands up. The teacher then asked if they know they have to move to Israel when mashiach comes do they still want mashiach. A few hands went down. The teacher proceeded to mention a few things that will likely change and little by little all the hands went down. So in general, I believe, most of us do not want mashiach to come or the mikdash to be built. We want to keep our fancy cars, our fancy lifestyles and we do not want anything that might harm them. That being said I think in Israel there are more people who do want it. I think people who make aliyah clearly want it, at least to a certain extent. They have already shown their willingness to give things up for what they believe. There are people in the general community (settlers, general frum, etc.) who really do want it. But still, even in Israel it is a minority. What do you think? Do we really want the Beis Hamikdash to be rebuilt? Do we await the return of the korbanos? Do we really want mashiach? Or are we just paying lip service but don't really look forward to that day? What do you think? The comments section is open for discussion. And tell us what you really think - do you really want Mashiach or not. Do you really want the mikdash or not. Comment anonymously, if you must. The day began with Avraham Burg, a former Speaker of the Knesset and a former head of the Jewish Agency, along with a former leader of the Labor Party and son of Yosef Burg, one of the founders of the National Zionist Party, granting an interview to the Ha'Aretz newspaper. The interview was on the occasion of the publication of his newly published book, "Defeating Hitler". Burg was pretty much tossed out of Israeli politics when he lost his position near the top of the Labor Party. He chose not to fight to get back on top and instead left Israel and went into international business, basing himself in Europe, specifically France. All this seemed inappropriate especially on the eve of the reading of the Torah portion Shlach, in which the story of the spies is related. The spies spoke ill of the Land of Israel in an attempt to dissuade the Jewish people from wanting to continue to travel towards the land. As a punishment, the trip was lengthened and all the people of the generation had to die in the desert before the Jewish Nation could enter Israel. I found out that day that that night (Thursday night) the IDF would be opening the gravesite of Yehoshua Bin Nun to Jewish visitors. The grave of Yehoshua (and Calev and Nun - Yehoshua's father) is located in the middle of an Arab village called Kifl Harsa, in the Central Shomron, right across from the Israeli town of Ariel. The IDf only opens the location to Jews twice a year. Once on Yehoshua's yahrtzeit and the second time right before the reading of Parshat Shlach, due to Yehoshua and Calev having been two of the spies and the only two that tried to convinve the people to trust Hashem and enter Israel. I went about two months ago, the first time they opened it up this year, and I decided I wanted to go the second time as well. If you do not remember, the previous time was a very spontaneous trip, and I barely made it. I ran to Jerusalem at 2:30 in the morning and managed to get on the last bus to Kever Yehoshua. This time I decided I did not want to do it like that. I did not want to waste all that time going to Jerusalem and waiting for a bus and fighting to get on, etc. I decided this time, for the first time, I would drive right up to the Arab village and go right in. Kifl Harsa is different than Shchem (the site of Kever Yosef). When going to Shchem, one has to go to the Jewish areas nearby, park and get a bus in. There is no other choice. Shchem is a city and a very dangerous one to boot. One cannot just go right in. With Kifl Harsa, it is an Arab village and supposedly fairly dangerous if one were to wander in on his own, but when they open it to Jews, one can generally park on the outskirts of the village and walk in, as the army secures the area. It was still a bit tense, as I had never done so before and was not sure how easy or hard it would be to find. So, at about 11:45 pm, after finishing my shiurim and chavrusas for the night, I went to pick up my partners in crime, Eliyahu (who has gone with me together a number of time to Kever Yosef) and tnspr569. We first ran into the big accident you might have heard of in which a hatzala member was killed in a car accident in Bet Shemesh. They had shut down the road to clear the accident, so I had to drive around the other way. They had needed ambulances, firetrucks (to peel open the cars) and helicopters (not sure why). It was a high speed head on collision and two people were killed and one seriously injured. Anyways, we get on the way and drive about 45 minutes to Kifl Harsa. This time I had a full tank of gas, so we would not have that aspect of the excitement that we had last time when we tried to go to Kever Yosef. It was pretty easy to find. It was right off the side of the main highway. We pull into a dirt lot and park the car. It was already showing signs of being a busy night, with about 50 cars there and a couple of buses. They only opened the site at about 12am to Jews, and now it was about 12:45 or so. We park and walk in the 3 kilometers or so through the village. It was pitch black, but there were a lot of people walking through and there were IDF soldiers stationed at every point the road curved. When walking in from the external parking lot, one first encounters the grave site of Calev Ben Yefuneh. We went in. The floodlights were off, so it was dark inside. People were using cellphones for illumination, so they could read from prayer books or special pamphlets passed around with special prayers for the site. It got pretty crowded. The crowd was pretty mixed. Often the majority of people on these trips are Breslaver chassidim, with a lot of "settlers" and then a few yeshiva guys and random people (like me). This time there was just a big mix of people. A lot of "settlers", a lot of chassidim, some breslav but many other types as well, and a lot of yeshiva guys, and regular people (like me) as well. Isn't it amazing how I remain the "regular guy" no matter what the crowd is?? We daven by Calev for a bit, then it is time to move on. We move on and go up through the village to the site of Yehoshua's grave. The big crowd is there. The grave of Yehoshua is not demarcated, rather it is under the wall of the building marking the grave, so some people daven outside at the wall and some go inside. The site of Yehoshua's grave is generally defaced with Arab graffiti. The IDF, before they let the Jews in, whitewashes over the graffiti with a fresh coat of paint. The paint was only about 90% dry, so people were coming out with whitewash smeared all over the jackets and hats. Inside the building is two small rooms, One is open-air (no roof) and the second is enclosed with a domed ceiling. They were both full of people praying and reading from the Torah portion about the spies and from the book of Joshua. Another prayer, aside from general tehillim, being said was the prayer of Aleinu, which was written by Yehoshua. After davening for a bit there it was time to move on. We walked further through the village on to the site of Nun's grave. Nun was the father of Yehoshua. I know nothing else about him, but he is buried nearby, so went there as well. Nun, in contrast to Calev and Yehoshua, has his grave right on the side of the road, with a big headstone (rather than in a building). We davened there and then went back to the grave site of Yehoshua. People were putting out refreshments, so we had something to drink, and then it was time to go home. Just as we were leaving, the commander of the IDF unit securing the site drove up. I said thank you to him for making out entry possible. I also asked him why they do this at night. There is so much noise and disturbance, that I can't imagine why the Arabs only agree to let us in in the middle of the night. It must disturb their sleep. So why do they not get smart and let us in by day and not make trouble and then they can sleep at night. But instead of that, they don't want to see us, so they only let us in at night and then their whole night is disturbed! People were making so much noise. Cars honking, people singing and dancing in the streets, general talking and prayers. A lot of noise for 2 in the morning in the middle of a village! The commander told me they considered it but the one time they did so the Arabs stoned people, so the army decided even with agreement it is still safer at night. We hike back to the car and head off back to home to catch some sleep. I had intended to run over to Hebron for sunrise morning services, but just could not get up with only 45 minutes of sleep (especially after having had only 2 hours of sleep the night before because of a late work night). According to the news the next morning, I was one of (or we were three of) 1300 people who visited the site over the course of the night. As well, the news reported that a few people had desecrated a nearby Muslim cemetery. I did not see details of what they did in the cemetery, but it is wrong to desecrate any cemetery, even that of Muslims. The organizers of the event were quoted as to decrying the defacement, and declared it was just a few people who did so, while most people were respectful and did not make trouble. At the same time that I say this, while our media make a big deal about how a few people desecrated the Muslim cemetery, no word is mentioned how the Arabs desecrated Jewish cemeteries. There was no mention of the graffiti sprayed all over the grave site of Yehoshua, that had to be painted over by the IDF before we got there. There is generally no word of the other Jewish grave sites in Muslim areas that get desecrated. There is generally no word and for sure no public outcry regarding the horrible desecration of Kever Yosef, which was burned down multiple times and demolished to rubble by the local Arabs. The funniest thing I read today!!! Don't people work for a living?